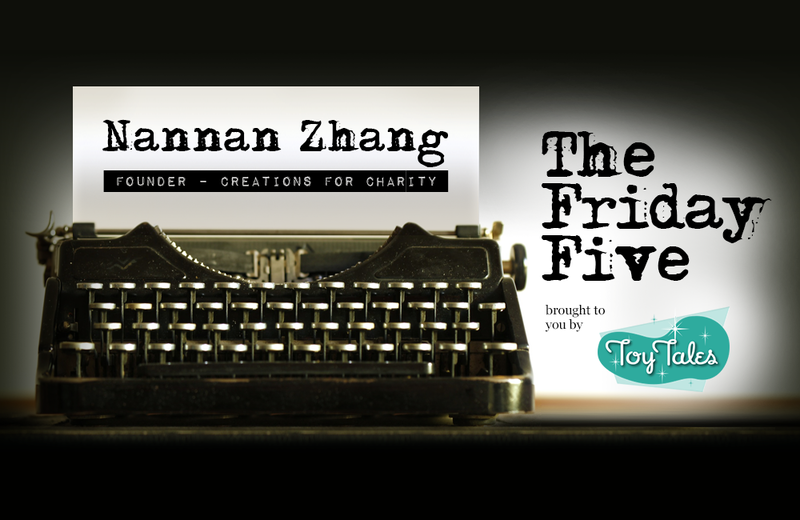 Nannan Zhang has seen explosive growth of his annual online fundraising auction, Creations for Charity, since founding the organization in 2009. In just seven years, the charity has raised over $60,000 and donated countless LEGO sets to Toys for Tots and other children’s charities. We talk with Nannan to find out how he built Creations for Charity and where he hopes to take it next. What inspired you to start Creations for Charity? It happened in 2009. A friend had the wonderful idea to donate LEGO sets to Toys for Tots. I thought, why not take it a step further and build LEGO items for people to buy. I thought an annual online auction would be fun. The LEGO designer gets to build something and feels great by donating it to the auction, the person buying the item gets a very unique LEGO creation, and then the money can go to buy LEGO sets for charitable foundations. There’s something in it for everyone. Toys for Tots is the main beneficiary of Creations for Charity campaigns. Why did you choose that organization? Toys for Tots is a natural choice because they do great work and have organizations in most major cities. They are very trustworthy, which is important. In places were Toys for Tots doesn’t have a presence, we choose charitable organizations that help schools, underprivileged families, or hospitals. What are some of the more memorable creations that have been sold in the auction? Since we started Creations for Charity in 2009 we’ve had some very intricate and complex creations. 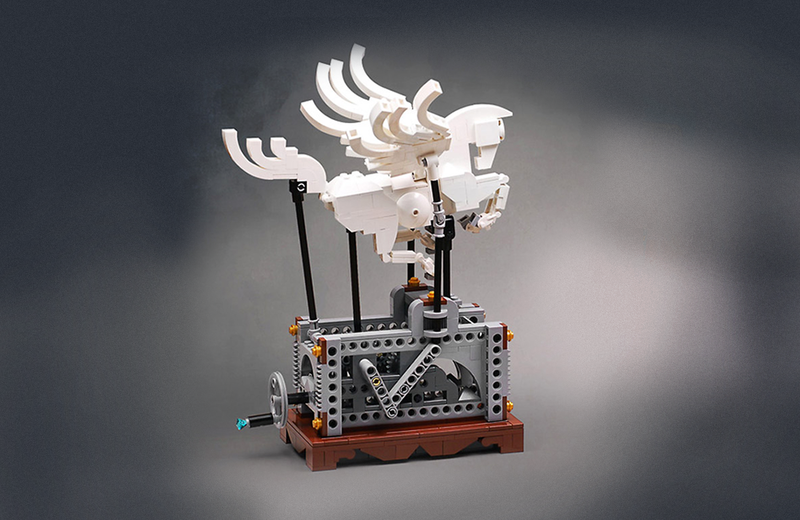 One LEGO builder in South Korea created an automaton Pegasus. When a small crank was turned, the wings moved up and down. It was really impressive. 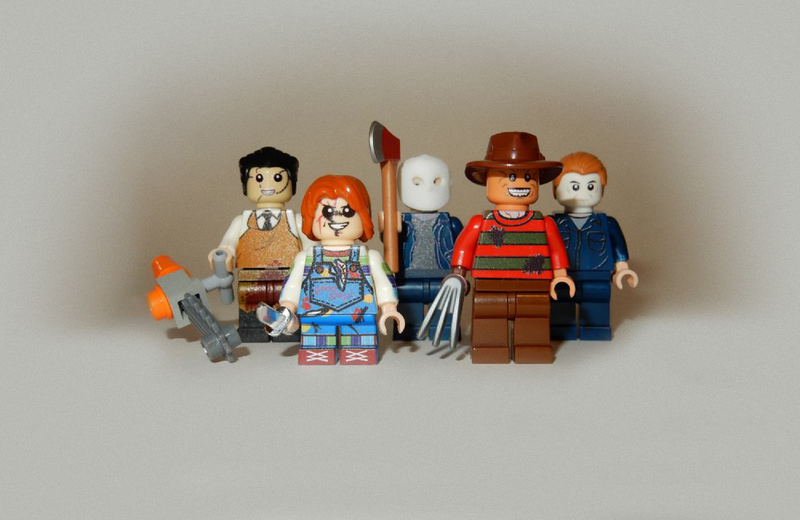 We auction so many unique creations, from large-scale items to original theme-pack minifigs. The designers always create something special. You’re a talented Lego builder yourself. What/when was your introduction to Lego? As is true in many families, LEGO was something that we always had in the house when I grew up. I played with it as a kid but it wasn’t until I ran across some online communities of adult LEGO builders creating impressive objects that I started to take it more seriously. There are so many outlets for LEGO builders. Flickr has a great LEGO community and there are user groups in most cities. 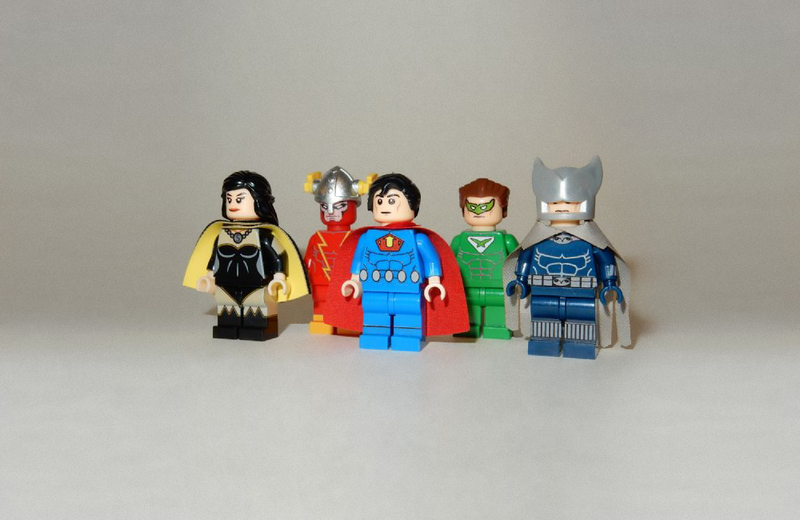 I’m a contributing blogger at The Brothers Brick, a site for adult LEGO fans. 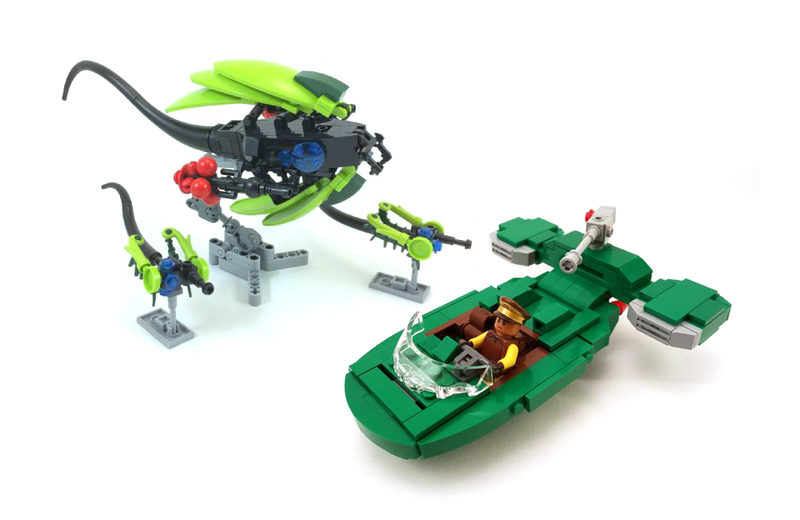 It’s a really fantastic resource and a fun site to visit for LEGO fans. There are also a lot of conventions worldwide. It’s nice to go to these conventions to meet people with a common interest and make connections. I’m in the second year of my neurology residency so I don’t have as much time to travel to conventions as I would like. Creations for Charity has seen impressive growth since it began in 2009. What are your plans for the charity going forward? I want to continue to build on our success. In our first year, we raised $2,010 US. We’ve increased that amount year after year. In 2015, we raised $18,056 US. That’s amazing growth! As the charity becomes more popular, the word gets out to more people, which gets us more LEGO donations to auction, and more buyers. A few conventions have also raised money on our behalf. In addition to growing the amount we raise each year, I would like Creations for Charity to have more of a presence in Asia. There’s a large LEGO fan base in many of those countries so I think it would be a great fit. The 2016 Creations for Charity auction runs until November 30. Visit their website and buy lots of creations! Doctor Andrei Cimpian studies the effects of gender stereotypes on young children in his cognitive development lab at New York University. Here, he explains his work and expands on his contribution to Mattel's Dream Gap Project. Video games are easy to take for granted. As new technology reaches the market, people often abandon a long-time favourite for the new and shiny game that holds untold promise. Frank Cifaldi and the team at The Video Game History Foundation are working to ensure those beloved video games of yesterday don't get permanently lost and forgotten.